Where are my pumpkin spice lovers out there? Although it’s not my number one favorite fall flavor (apple cider donuts takes the number one spot for me), it’s right on up there. I mentioned making some pumpkin recipes yesterday to the kids and they went bonkers. Like screaming up and down bonkers. I had no idea they loved pumpkin so much. Seriously, I think the only pumpkin experience they have had is roasting the seeds when we carve our jack-o-lanterns each year. So I have no idea where this love of pumpkin has come from but I’m gonna go with it. 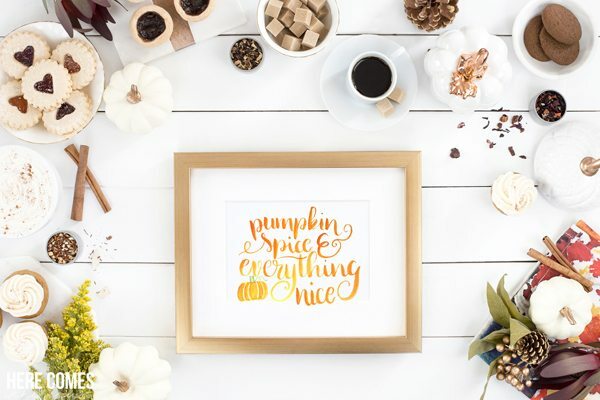 If you are a pumpkin lover, then this pumpkin spice quote print is for you. This print would look perfect on your wall this fall season. You could also include it in your mantel decor. 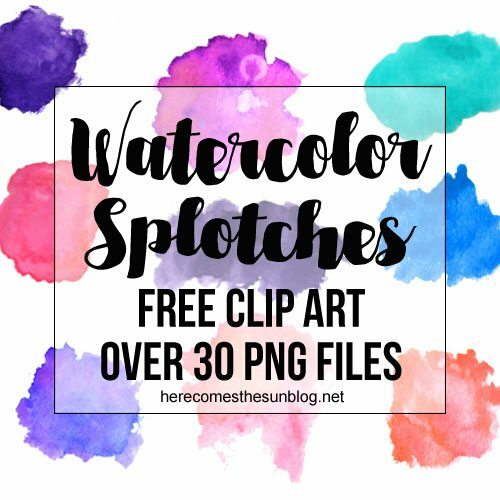 This is a free download and is formatted as a landscape 5×7 PDF. It is hand lettered and painted by me. This file is for personal use only. You may not sell or redistribute it. 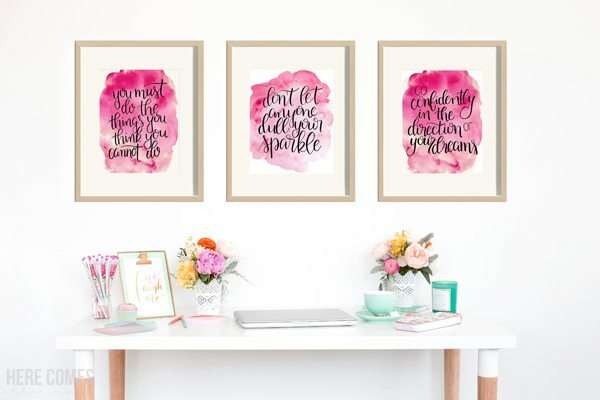 Want to know my favorite tools for making watercolor prints like this one? 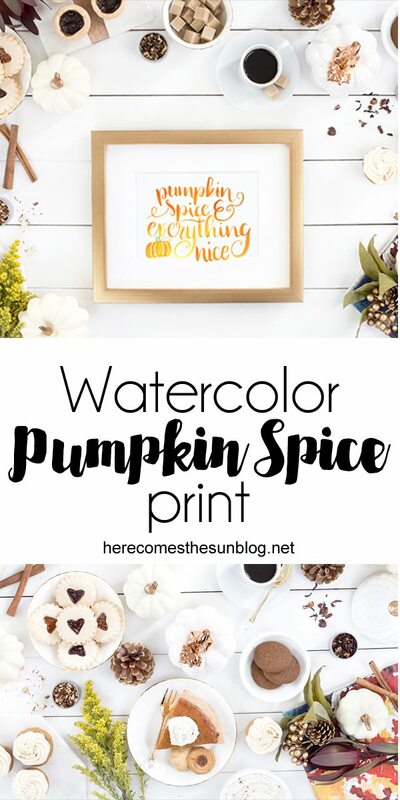 Here’s a list of what I used to make this pumpkin spice quote print. You don’t need a whole lot to get started, I promise. 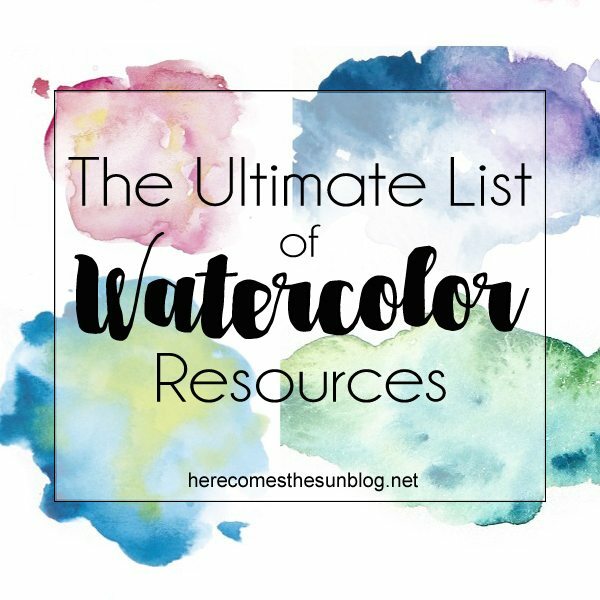 Some of my favorite watercolor tutorials come from Ink Struck Studio. She’s got some great tutorials that you should check out. I wish I could be sipping on a hot steamy PSL right now but it’s still like 90 degrees here. Clearly Mother Nature has not gotten the Fall memo. Maybe I should send her this print?